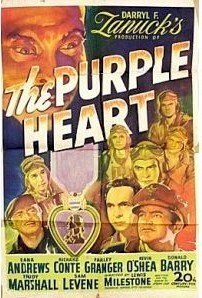 1944 - Here is a striking one sheet for this WWII classic "The Purple Heart", that was filmed during the peak of the war. Spectacular graphics and artwork!! 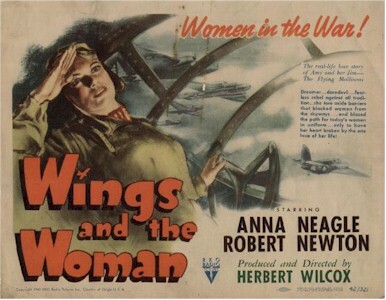 1942 - Very Rare Title Card with stunning graphics and artwork that celebrates women and their participation in WWII. 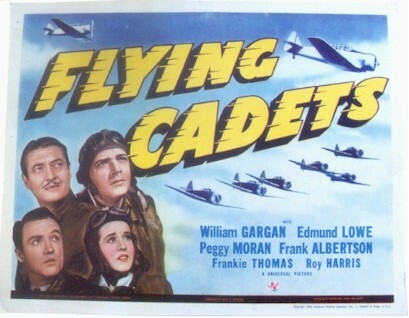 1942 - Great War fighter pilot graphics on this Title Card for "Flying Cadets". Excellent condition. 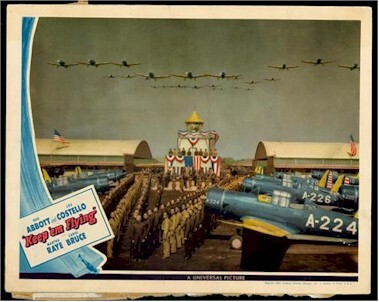 1941 - Great original vintage lobby card from the Abbott & Costello World War II war-time classic, "Keep 'em Flying". A really beautiful scene with nice close-ups of the vintage aircraft. 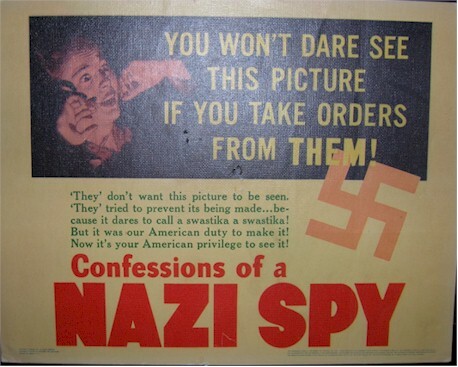 1939 - VERY RARE Title Card for this Pre-WWII classic . Excellent condition . Made of nice vintage heavy linen that was sometimes used in the 30's for lobby cards.